Scuppernong grapes benefits include its use in improving bowel movement, reducing cholesterol, lowering high blood pressure and supporting heart health. Scuppernongs have cardioprotective, antioxidant, anti-obesity, and anti-cancer characteristics. Therefore, these delicious grapes have tremendous health benefits, especially for the heart and skin. Scuppernong is a variety of Muscadine grape. It is native to northern California and named after Scuppernong river and lake Scuppernong near which, it was first spotted and cultivated. It is bronze or greenish-golden in color and similar to white grapes in appearance. As compared to the normal grapes, which are commonly found in markets, Scuppernongs are larger and rounder. Scuppernong Grapes are slightly less sweet than the purple variety, Muscadine. In the United States, the first type of grape to be cultivated and used to produce wine was ‘Scuppernong’, during the mid-18th century. It was first known as the ‘Big White Grape’ until 1811 when the name ‘Scuppernong’ was assigned by Calvin Jones, an editor for The Star newspaper. This fruit was valued for its hardiness and quality. Scuppernongs are full of vitamins and minerals that are essential for good health. 100 grams of this fruit contains approximately 62 calories. It is a low source of fat and a good source of dietary fiber. A high dietary fiber content of Scuppernong makes it a perfect food for individuals who want to lose weight and manage their high cholesterol level. Scuppernong grapes are a good source of potassium and thus, it is beneficial for people with high blood pressure. Besides this, they are a decent source of calcium, magnesium, manganese, phosphorus, zinc, and iron. Scuppernongs are also a fair source of vitamin A, vitamin B2 or riboflavin and vitamin C. Scuppernong grapes are consumed for their respective nutritional and health benefits. One of the major benefits of Scuppernong is it helps to clear the bowel and prevents abdominal discomfort occurring due to improper evacuation. Scuppernongs are a great source of dietary fiber. Their outer thick skin makes them rich in insoluble dietary fiber. The high fiber content of this fruit draws in water, softens the stools and makes it bulky. So, it can be of advantage to those who struggle with irregular stools. This helps in regularizing bowel movements and prevents constipation and issues related to it, which include diverticulitis and hemorrhoids. Thus, individuals with irregular bowel movements and constipation should make Scuppernong Grapes a part of their daily diet. Having high blood pressure damages your heart, arteries and blood vessels. Scuppernongs are a good source of potassium. Potassium widens the arteries and helps the walls of the blood vessels to relax. This ensures a smooth blood flow throughout the body. It further balances out the undesirable effects of excess sodium and supports the good kidney function. Having high cholesterol levels may increase the risk of heart diseases and stroke. The hypolipidemic action of Scuppernong Grapes is attributed to the high dietary fiber content in it. Dietary fiber interferes with the absorption of bile, a substance that helps in the digestion of fat and is synthesized from cholesterol. This causes excretion of bile acids in the feces. Thus, the body uses excess cholesterol from the blood to re-produce bile acids. This helps in lowering excess cholesterol from the body. Phytochemicals are plant chemicals that play an important role in enhancing heart health. Scuppernongs are a great source of phytochemicals and antioxidants. These health-promoting plant chemicals protect the heart against free radical attack and thus, prevent damage. Besides this, Scuppernong Grapes help in lowering high blood cholesterol and high blood pressure, two major risk factors that increase the chances of having a heart attack. Moreover, overweight or obese individuals are at a greater risk of heart diseases. Presence of essential minerals such as potassium, magnesium, and manganese further improve the heart health. Scuppernongs can benefit the heart health by promoting weight loss. Hence, Scuppernongs are an amazing food for heart health. Oxidative stress plays a causative role in the onset of cancer. The antioxidants present in Scuppernongs fight oxidative stress by scavenging free radicals. They protect the healthy cells of the body against damage and death. Furthermore, compounds present in Scuppernong Grapes suppress tumor growth and induce death of harmful cancer cells. Being obese or overweight or obese puts you at an increased risk of various diseases and disorders. 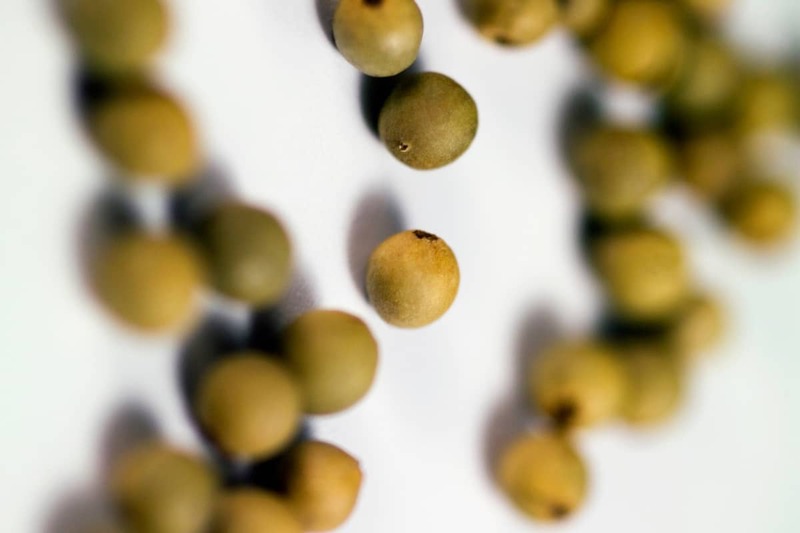 The high dietary fiber content of Scuppernongs provides satiety and delays hunger pangs. On entering the stomach, dietary fiber forms a thick, gel-like consistency. This slows down the emptying of the stomach and makes one feel full for a longer period. While purchasing Scuppernong Grapes, choose the ones that are uniform in shape and without any spots and bruises. Store it in a shallow container in the refrigerator. Wash them just before you want to eat them. They can stay in the refrigerator for one week, but it’s best to eat them fresh and within 2 to 3 days after you purchase them.